Many Leaving Cert classes will have a mixed attendance over the coming weeks, with Oral exams in Irish, Modern Languages and Music Practicals. 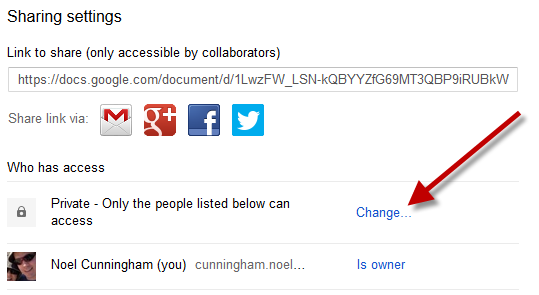 One way to keep students up to date with what has been covered in class is googledocs. 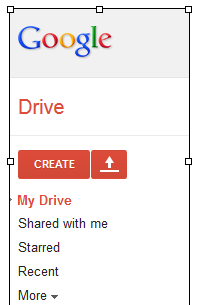 If you use gmail then there should be a tab for “Drive” on top of the page. Click on this. Once there, create a new document (a drop-down menu will appear when you click on the “CREATE” option above) and when it opens rename it (File – Rename) and then save by clicking on the blue “SHARE” button (top right). 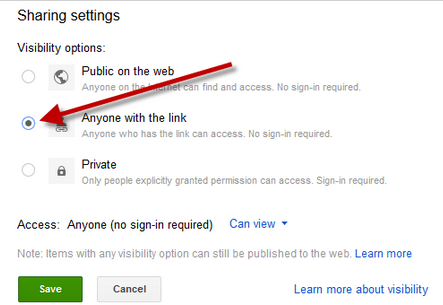 Tick the “Anyone with the link” option. Then copy the url for reference (I also put mine on my “Bookmarks toolbar” using Mozilla on my school pc so it’s there at the click of a button in class). It does require having the students’ email addresses so you can email them the link, but this only takes a minute. You can also use it to update with any additional info as you choose. Now towards the end of every class you just note down what was covered in class that day (and homework, if you’re into that sort of thing). Any students who are absent can then click on the link and see what they missed. It also acts as a nice reminder for yourself as to what you did last class if class plans aren’t your thing either. Alternatively you could go down the Edmodo route, but if you’re just dipping your toes into this type of communication then googledocs isn’t a bad way to start.